Spring Fever is just setting in and Ski-Doo has already released a plethora of accessories for the Gen 4 REV chassis. 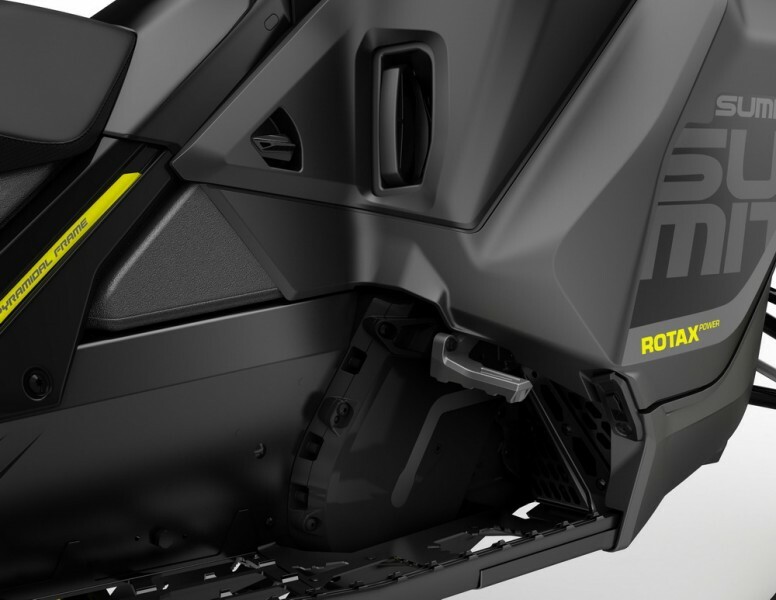 BRP has developed several new accessories along with the new Ski-Doo REV Gen 4 platform that allow riders to fit snowmobiles to their needs. 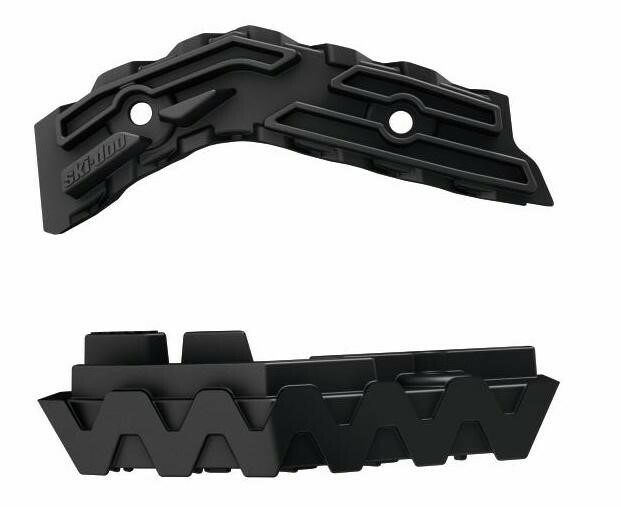 Of particular interest will be accessories surrounding the new Open Toe hold area of REV sleds, where there are five items riders can use to match up with their style. The radical Open Toe Hold design gives riders the freedom to choose the kind of experience THEY want, rather than being restricted by the machine’s design. Because BRP’s vehicle and PAC teams work so closely together in the development stages, there are accessories ready to provide customers with different options right from the start. These are fixed upper toe-holds that allow a rider to lift with their feet or provide a more locked in feel. The cast aluminum construction is lightweight and bolts up easily to the chassis in pre-drilled and threaded holes. All hardware is included. Introducing a whole new innovative concept in fitting a mountain sled to individual riders, while not getting in the way when moving side to side. These die cast aluminum toe-holds feature a spring loaded upper piece that moves downward out of your way when stepping on it from the top. Think of a dirt bike foot-peg turned upside down. In addition they can be adjusted both back and forth 3 inches (7.6 cm) and up and down 1.5 inches (3.8 cm) to find the right spot for each rider. 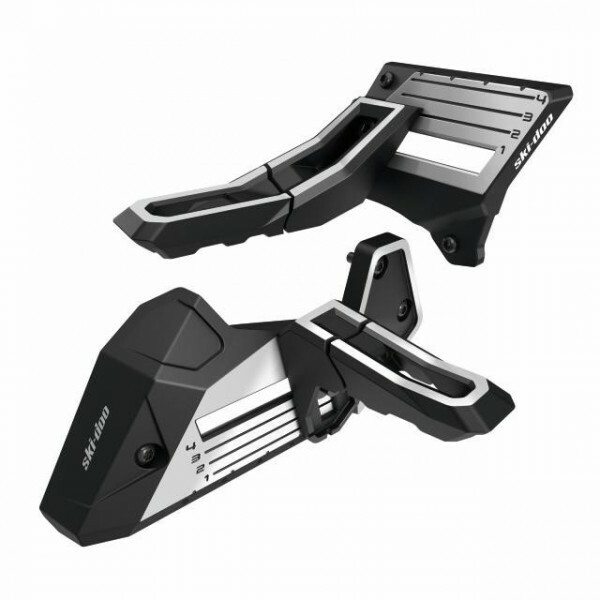 This kit offers the ability to change the fit of a rider’s boot in the MXZ/Renegade toe-hold. Simply add shims to get the just right fit. Kit comes with 2 shims (one 10mm/.4 inch and one 20mm/.8 inch) for each side and all hardware. These lateral supports are for the riders that push outward with their feet, or just want a more enclosed foot area. 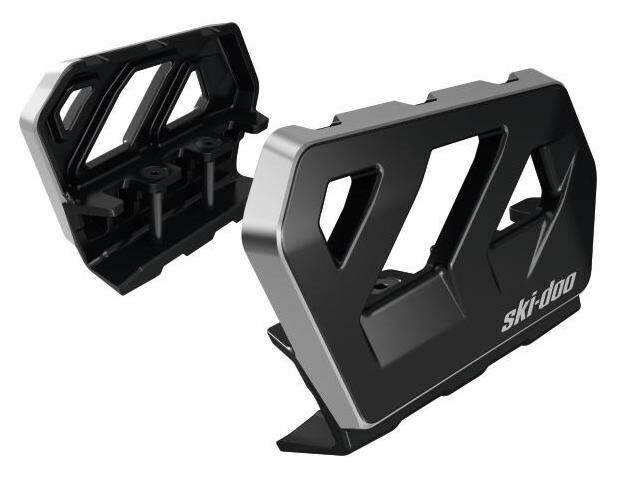 Made of cast aluminum and machined smooth with black powder coating they provide a finished look to compliment the sled’s appearance. They attach to the outer running board quickly with all hardware included. For information on all the genuine BRP clothing and accessories to fit your ride visit www.store.ski-doo.com or your local Ski-Doo dealer.